7 For All Mankind Dojo Flared-Leg Dark-Wash Jeans with “7” Pockets, $246: We are liking these flared jeans, which offer a 1970s inspired vibe with their wide bellbottom cut. With flares coming back into fashion, wide-legged denim just might help you channel your inner Emily Summerspring. Salvatore Santoro Fringed Hem Coat, $830: Try balancing out your timeless dark wash denim with a fringe-trimmed coat that completes your ensemble. 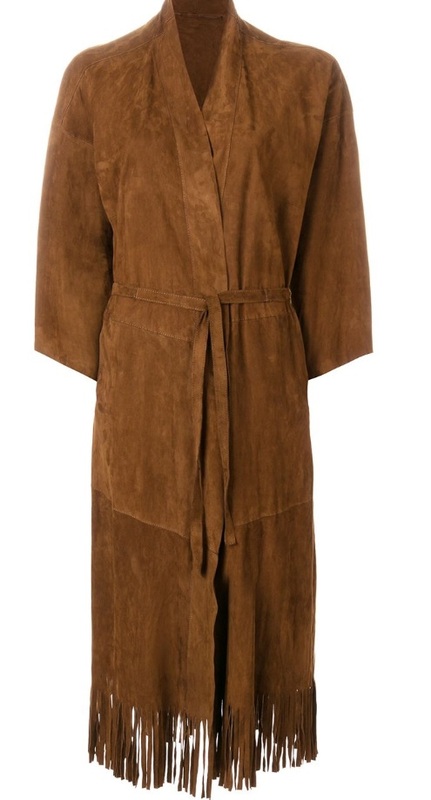 This dark brown leather topper makes a statement with its boho chic fringe detail and waist-cinching belt. EDIT BY JEANNE BEKER Alannah 61mm Oversized Square Sunglasses, $44: To capture your inner movie star just like Johnson herself, try accessorizing with a pair of dark sunglasses. 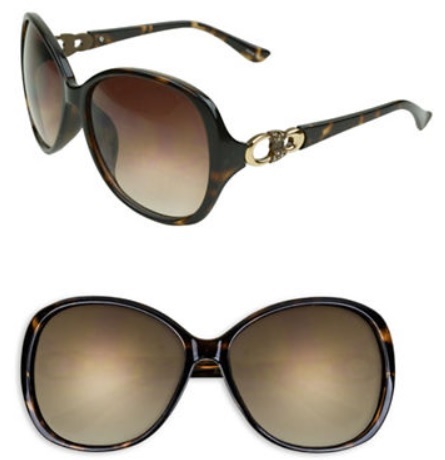 These brown, oversized shades feature dark lenses and metallic detail on the arms.